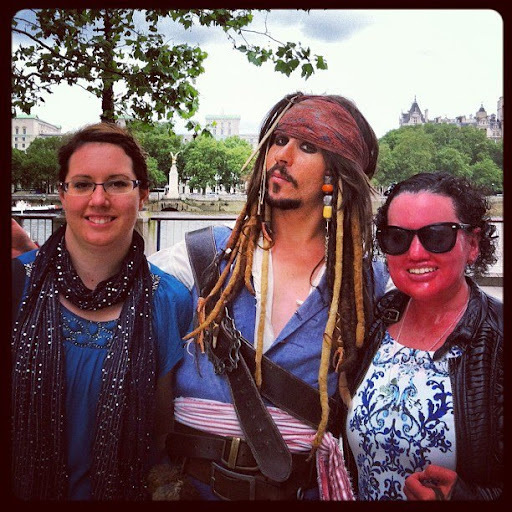 Tune into Radio Carly: Travel tales: Horses guard parade, Jack Sparrow, British Museum of Popular Music, the cable car, a night out and being recognised. 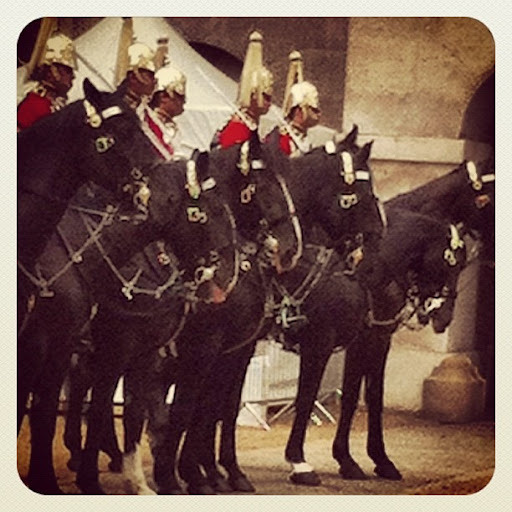 Travel tales: Horses guard parade, Jack Sparrow, British Museum of Popular Music, the cable car, a night out and being recognised. I am typing this in the laundromat. This will probably be the last post I write from London. I am sad to leave this great city, but I am excited to be heading to Los Angeles tomorrow and New York on Wednesday! Yay! I am looking forward to meeting my Mum. I am not looking forward to packing my suitcases. I have had an action packed two days. Today I feel a little worse for wear - a self inflicted hangover. I just bought some fruit and water to snack on, because my eating habits have been rather bad today - Maccas for breaky and a pork pie for lunch (hey it's the last time I will have a pork pie for a while!). But I shall dust myself off and have a pub meal on my last GB £ and perhaps just one pint of cider this time. Michelle and I went touristing yesterday. We saw the Horses guard parade, first at the Horses Calvary Museum and then parading down the road. The horses looked spectacular - beautifully groomed, and their accessories were luxurious. I wouldn't mind one of their sheepskin rugs for myself! 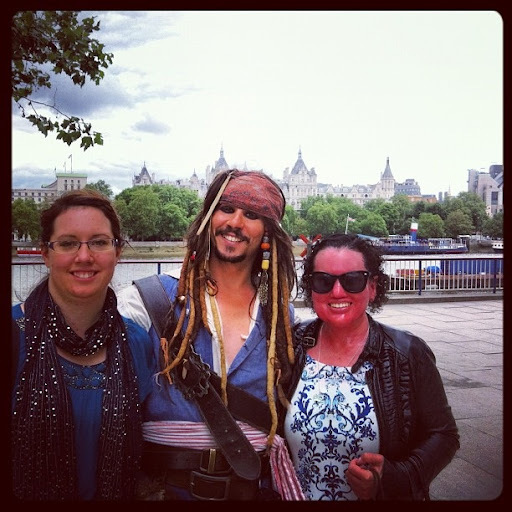 Next up was a walk down South Bank where we saw a Jack Sparrow impersonator. We walked and walked and walked to find a pub specifically for a roast. They are on every corner here, but as we were getting angry-hungry, we could not find one very quickly. When we did, I had the roast lamb shoulder. 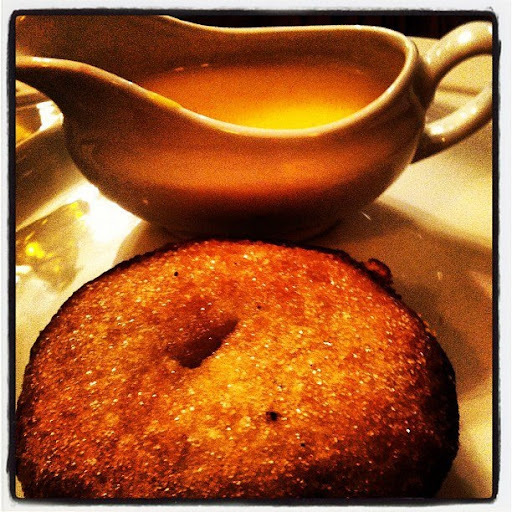 Later that night I ordered a side of Yorkshire pudding and gravy! I also had some apple pie and custard. 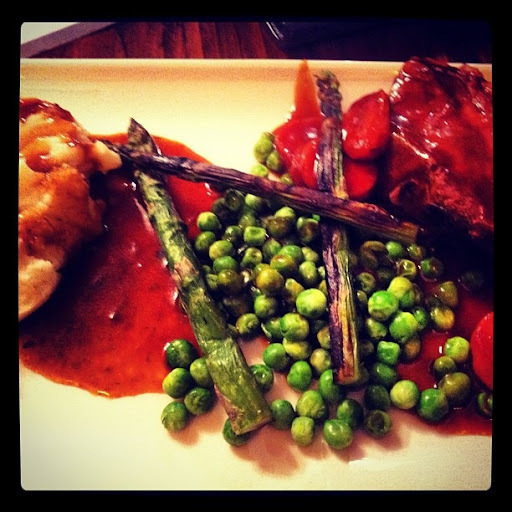 This meal was at the Princess of Wales pub at The Strand. I treated myself to a London momento - a Kate Spade bangle that reads "London Calling". I love it! We then took the train to North Greenwich station and went to the Bristish Museum of Popular Music at The O2. I was very excited to see this poster. Very excited indeed! The British Museum of Popular Music showcases music memorabilia and historical information from the 1940s until present day. It is very interactive, and visitors are given a card to store information found on their experience, as well as their activities, to download at home later. Michelle and I had a go on everything - including the vocal booth where I disinfected the microphone well with hand sanitiser to avoid another case of karaoke flu. Michelle sang Rod Stewart's Maggie May and I sang Oasis's Wonder Wall. There was a girl singing before us who was really really good. I dont think we were! We also danced to The Locomotion, which was videoed, and we looked so silly!! 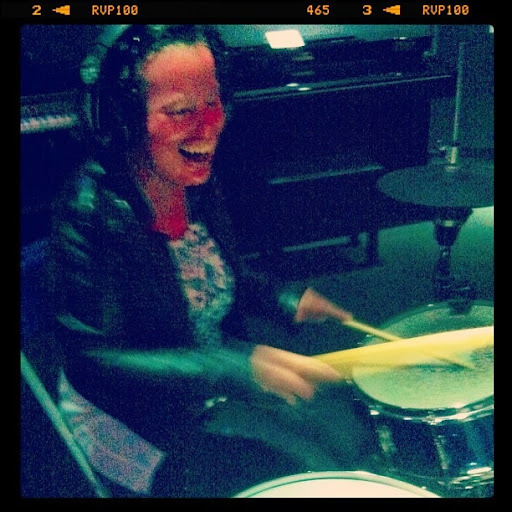 Here is me playing the drums. 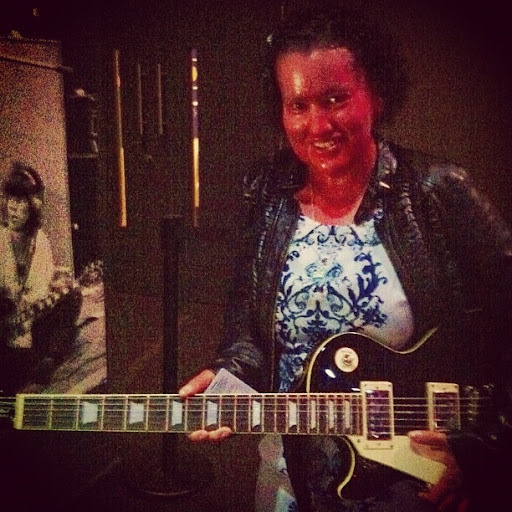 The range of artefacts shown was vast - from costumes to setlists to posters. 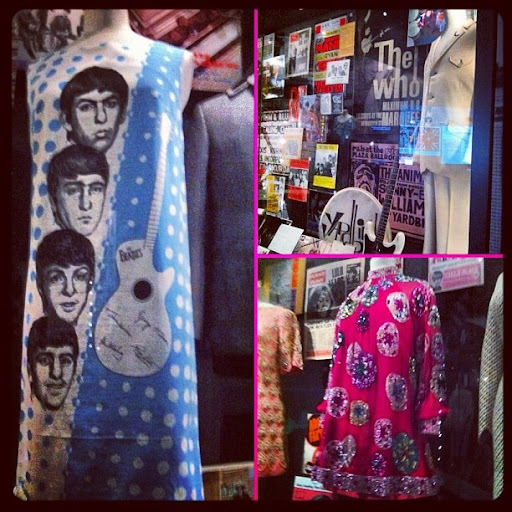 Here is some of the 1960s display - a shift dress featuring The Beatles, The Who memorabilia, and Lulu's dress. And the 1990s display - my favourite. 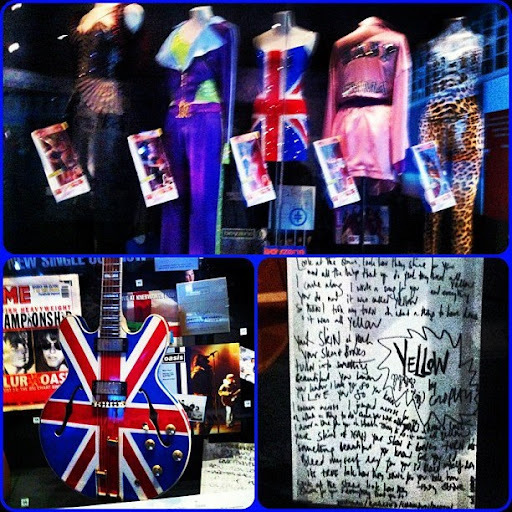 The Spice Girls' costumes, Noel Gallagher's guitar and the lyrics to Coldplay's Yellow. I really enjoyed the museum - it was good value and very interesting. I think the interactivity really made it worthwhile. I wished I could have shared this experience with my Dad - he would have loved the music history, especially the stuff from his era - like The Who, The Kinks and The Beatles. 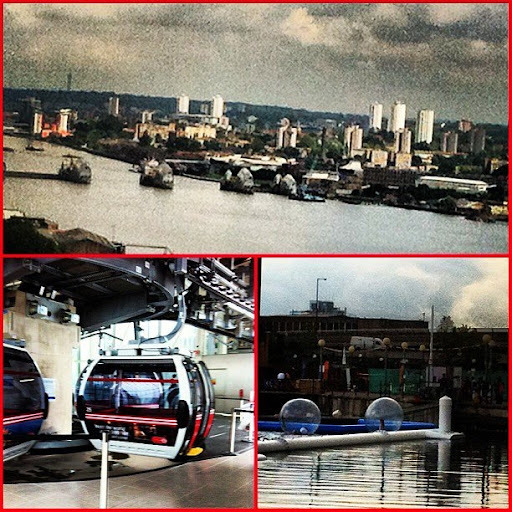 We made our way back to the city via the Emirates cable car. For around £4 each way, you can cross the Thames at 200 feet. The cable cars have only been running since late June, so I got here just in time to experience them. It was a good experience with beautiful views. We had a cable car to ourselves. The ride was around five minutes. I went home and had a rest, and then we caught up at a pub near to our hotels. We saw a guy whose hair looked like Princess Diana's. I had about a million pints of cider - a more realistic figure would have been five - I could not drink the sixth - and had a really fun time. I may or may not have pashed a man. And that late night, filled with drinking, leads me to today, where I tried to fit as much in as possible on my last day, but ended up fading several times! 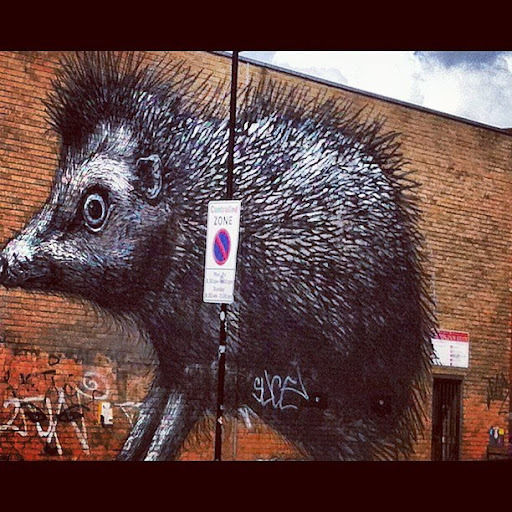 This morning I took a walk down Brick Lane in Shoreditch, on recommendation from Maggie Alderson. I enjoyed the eclectic mix of vintage and designer stores. I saw some cute sights. 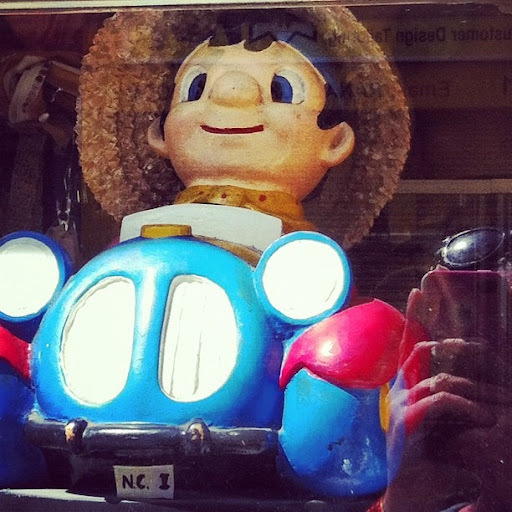 A Noddy in his car. And this beautiful street art.. 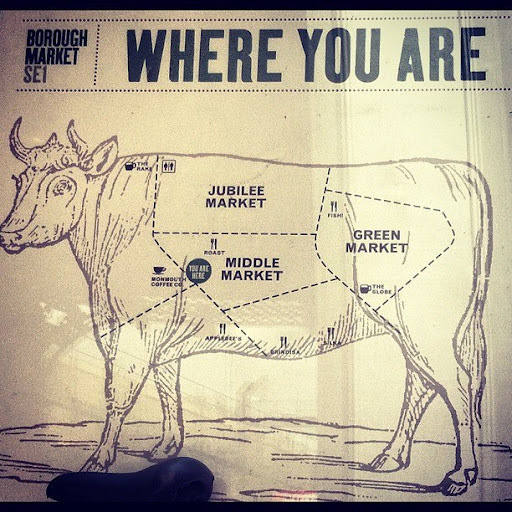 I met Michelle at Borough market - I love that place, even though it was so busy today! We sat on the footpath - she had paella and I had that pork pie, and we people watched. 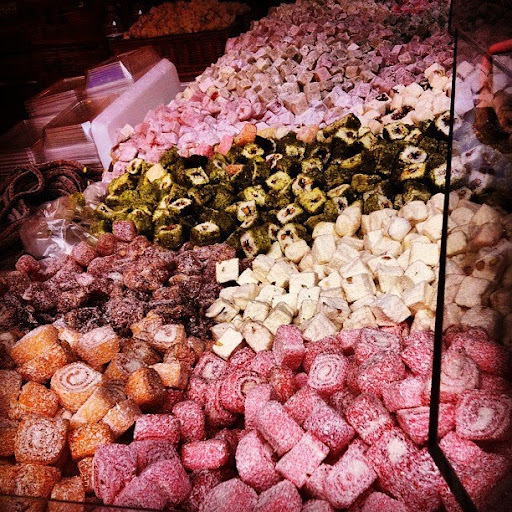 We tried some meat, cheese and sweet samples - including one of these pieces of Turkish delight. As we exited the market, I heard my name being called. A lady rushed through a small crowd, telling me she knew I was in London, and is a reader of my writing on Mamamia! She told me she loves my work! 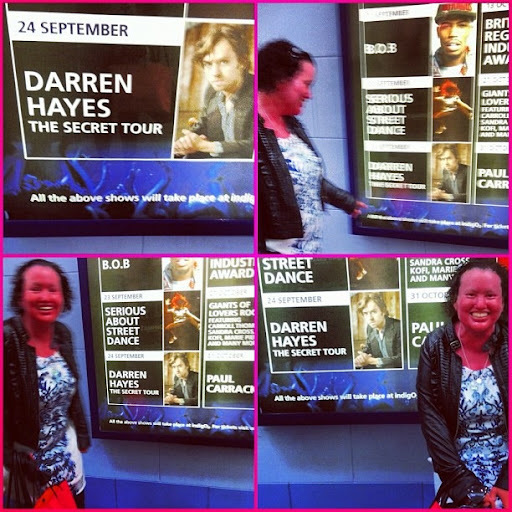 It was so flattering - she was very excited! So excited in fact that I could not get a word in, and I couldn't ask her what her name was. So Aussie Mamamia reader in London, if you are reading this, thank you for making my day! 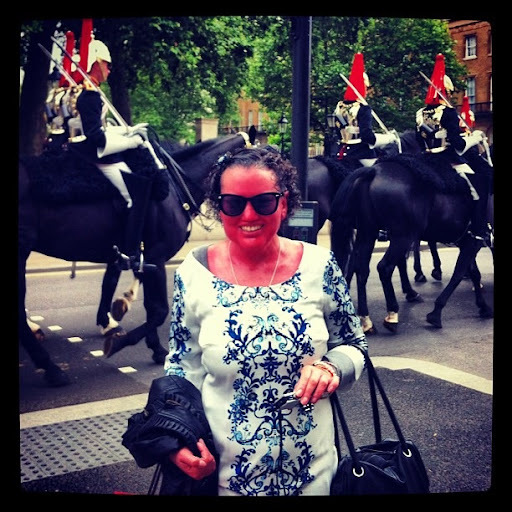 Last night some guys at the pub also recognised me for being on a TV show - only I haven't been on that one - it was a show featuring two other girls with ichthyosis - but I did tell them about No Limits. I also had my last hurrah in TopShop, Oxford Circus.That place is like heaven to me! Like my Kate Spade bangle, I have been dreaming of this dress since I saw it last week and had to have it. And now it is mine. 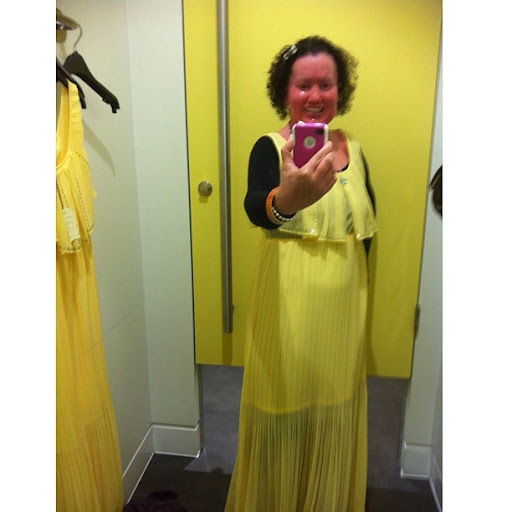 I love the colour and style - I have bought two maxi dresses on this trip. Oh wow! So many new things to me that you have found in London - seems like it has changed a little since I was last there..
Have loved seeing London through your eyes! What a great trip you have had!